OXYmetholone (Anapolon) is an oral drug with a dosage of 50mg per tablet. It is the strongest oral steroid on the market. It has both high androgenic and anabolic effects. Strength and weight gains are very significant. It is highly toxic to the liver. OXYmetholone (Anapolon) also aromatizes fairly easily. OXYmetholone has been reported to produce gynecomastia in users (not all probably around 50%). An anti-estrogen should be used to counteract the aromatization. Nolvadex is an suggested anti-estrogen. Many side effects are associated including acne, hair loss, abdominal pains, headaches, gynecomastia, hypertension, and heavy water retention. Loss of weight and strength usually occurs after the cycle. Anadrol also shuts down natural testosterone production. 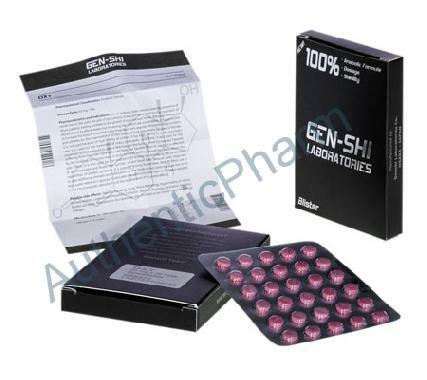 It is regarded by the bodybuilding community as the most effective oral steroid in building strength and size. OXYmetholone (Anapolon) has many side effects however, which make it relatively dangerous to use when compared to other steroids. Average dose is from 1-2 tablets a day to 4 tabs a day. OXYmetholone (Anapolon) is used on bulking cycle with sustanon and deca-durabolin. Beginners can to gain 20 to 30 pounds (12 -15kg) of mass less than into 6 weeks,with only one or two tablets daily. Reason is high water retention which can have both,positive and negative side. Positive is a higher level of strength and power because lot of water in muscles and joints which can prevent injury too. Negative can be lost of body definition and high blood pressure. OXYmetholone is a derivative of dihydrotestosterone and it is 17-alpha alkylated. 17-alpha alkylated steroids are toxic for liver. Some products like a Cod Liver Oil or Primrose Oil or other which contains linolinic acid support a liver. Other possible side effect are acne, aggresiveness and hypertension. There is lot of antihypertension available. Person need to take some antiestrogen like Tamoxifen, Proviron or Clomid. Clomid is recommend after cycle for returning induvidual natural level of testosterone which helps to save mass get in cycle. Usage: Average dose is 1-4 tablets daily for at least 6 weeks if used alone. Those looking to cycle with OXYmetholone (Anapolon) will typically use it the first 3-6wks of a cycle that also includes an injectable form of Testosterone. For even more superior mass gains, bodybuilders may choose to add another injectable such as Deca or Tren to the cycle. In these cases, mass and strength gains are sure to be nothing less than dramatic. OXYmetholone (Anapolon) will shut down the body?�?�?�????????? ?s ability to produce testosterone naturally, therefore making a PCT regime crucial upon discontinued use.